Do you struggle with these common overwhelm symptoms? Many entrepreneurs who bootstrap their business struggle with common overwhelm symptoms. And, it’s no secret that the challenge to get a business up and running and working for you instead of against you is immense. Sometimes it feels like you get lost in a rabbit hole of “to do’s”, and are not able to get back out! With the pressures, it’s a wonder we even stay in the game. But, entrepreneurs are hard workers when we believe something is possible. As an entrepreneur, you possess ‘super powers’. But sometimes those amazing strengths can stand in the way of your ability to see the forest through the trees. Because you are so talented and capable, you may not value your time enough. As a result, you may avoid the exact things that can help you ‘leap’ forward. Instead of investing in the expertise and support that will truly help, you stick with what you know. This causes you to trade your time out while trying to do it all yourself! This quickly leads to overwhelming stress levels. But the time-leaps available when you surround yourself with the right people are incredible. So, it’s time to ask yourself if all the stress is worth it. 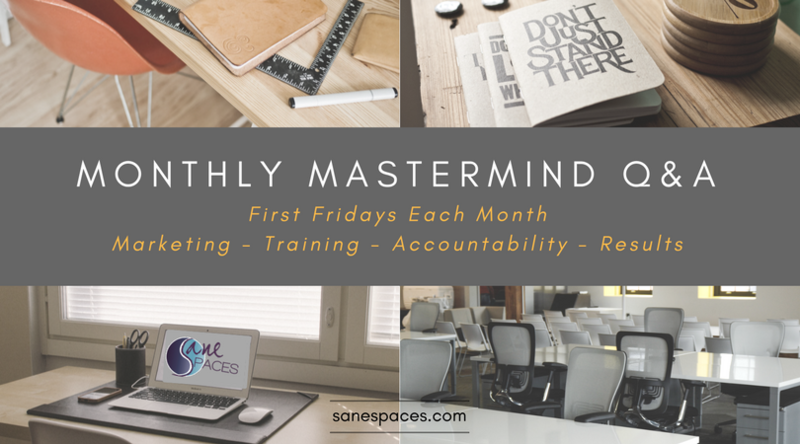 And, if not, here are some ways a Mastermind program can help you alleviate the biggest overwhelming symptoms and instantly improve your results. You know the signs of stress. Do you resonate with these symptoms? And, oh – your son is sick at school and needs you to drop everything to pick him up early! Entrepreneurs often have more questions than answers. Too many questions can lead to overwhelming inaction. Overwhelm Symptom #1. You’re stressed out doing it all, and it’s not your fault. Juggling a business and life these days is really tough. It seems you can never ‘close your business’ because you’re always thinking, doing, marketing, selling and juggling all the parts and pieces of your never ending to do list. Keeping it up for long periods of time inflates your stress hormones, which are the cause of most emotional, relationship, and physical ailments of today! A mastermind group helps you learn from others’ in business and shortcut solutions to common problems. Obstacles become hiccups and you achieve your goals more quickly! Overwhelm Symptom #2. You want a business that will ‘fit’ into your lifestyle. BUT… What you quickly found out was that shortly after you said yes to launching, your business suddenly took over your time, priorities and eventually your downtime. This has affected your private time, kept you up at night, and is negatively impacting your well-being. And if you don’t get it under control and re-design it, your business could win. You launched this business, and soon you found yourself saying yes to client work during all your spare time. AND, what about the time it takes to send a newsletter, publish your blog posts, and create your back-end systems! To get out from under the work-a-holic entrepreneur syndrome, you need to put your maintenance and nurture systems on auto-pilot. Then you need to line up support so you can have more flexibility to manage your time and work when you want to. The truth is, your dream is to work from the beach, on an airplane (on the way to the beach) or some days, even from your home office… whenever it suits you! A mastermind group that meets regularly helps you plan your time around it. And, even if you’re not available for live meetings, recorded sessions make them available when you are so you don’t miss a thing. 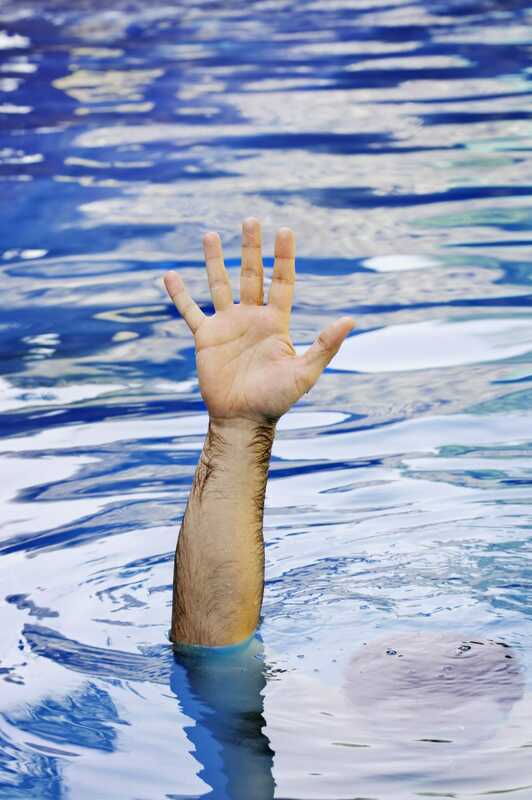 Overwhelm can make you feel like you’re drowning in a sea of tasks! Overwhelm Symptom #3. You have Blind Spots you’re not aware of that hold you back. We all have blind spots. And the fact is you don’t know what you don’t know about marketing, branding, sales and all the techy stuff. Again, it’s not your fault. Because unless you have a business degree, no one ever taught you any of this stuff! Many entrepreneurs design their offers around their particular specialties, training, education and expertise. So to become truly successful in business, most ‘expert entrepreneurs’ simply need to learn the WHAT and HOW to successfully market their services. A mastermind group works under the idea that many people make problem-solving easier. Each person brings a field of experience to the table and makes it helpful for you to learn directly from others who’ve ‘been there and done that’. This shortens the time it takes you to ‘fail your way to the top’! Overwhelm Symptom #4. You REALLY want decent, reliable income, but you’re stuck. Although you may not be the sole provider at home, you want a real return for the time you spend working. If you don’t start turning more income, then it’s not really worth all this effort. Creating marketing strategies that work while you sleep is key. A mastermind group exposes you to a whole new group of people who can help you find others to support your business! Overwhelm Symptom #5. You feel isolated and unsupported. When you own a business, you step into a whole new reality and those in the Muggle World just can’t relate. They just aren’t wired up the same as us. It’s not their fault, but they don’t share your same desire or drive for success in business. It doesn’t make them bad people of course, but it does compromise what they can offer. Therefore, getting valuable and helpful advice and guidance may be difficult from your closest family and friends (unless they are entrepreneurs too). To avoid isolation, you really would love a posse to hold you up, set you straight, motivate you and keep you on task to implement what you need to accomplish ongoingly! A mastermind group provides a safe place and pseudo executive committee to help you bounce new ideas around and make quicker decisions. Overwhelm Symptom #6. Your life circumstances require a flexible schedule. 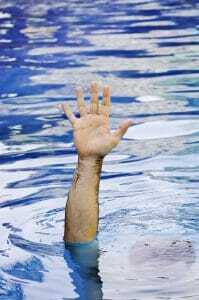 That means you need to respond to emergencies and say no as family and daily priorities shift. You may want to squeeze work in between the busy schedules of your children, and full-time visits to your aging parents. And, depending on your situation you may only have part time hours to work. A mastermind group offers flexibility and access when you’re available. Training and templates help you get work done on your business when you’re ready to work. Overwhelm Symptom #7. You’re over-scheduled with limited time to network. Groups that meet at inconvenient times, and require significant financial investments can stretch your resources and be easy to avoid in the start-up phase of business when every penny matters! A mastermind group offers access to everyone else’s networking groups. You make instant connections to others who’ve already vetted resources for you. Overwhelm Symptom #8. Your current communities aren’t doing it for you. Often we join social or religious associations hoping to connect with other people like you, but the groups are not a fit and don’t really offer support for running your business. Senior managers in large corporations rely on advisory boards and experts within their own companies when they need advice or strategy to start a project. Entrepreneurs, on the other hand, do not have access to this type of expertise. As a result, we’re often isolated and lonely, lost in a stream of social media to desperately gain access to other people who can help us create the business of our dreams. A mastermind group provides a great meeting space for others who are in business, just like you. You surround yourself with a community of like-minded people who can help you leap forward. 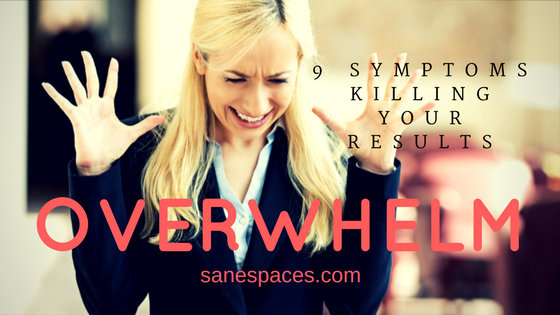 Overwhelm Symptom #9. Social forums don’t provide enough support. While unpaid social groups are great in many ways, they may take a ton of time yet leave you with unanswered questions, unfulfilled goals, stressed, and overly responsible for others. Without regularity and structure focused on results in your business, relationships with REAL People. You know the actual person to person connection is important and often online interactions can feel a bit false at times. However, in a mastermind group, you combine your experience with that of other entrepreneurs like you and create your own Executive Team! Group support and individual accountability help you through those times when you just can’t figure out and typically give up on. This way, you keep moving toward your goals and stay on track. No one will work harder for you than yourself. A mastermind group, although social, is not intended to be a ‘social’ connection. It is intended to help catapult you forward in business providing the support you need. In my beginning, the game changer to escape overwhelm was a Mastermind Program. Entrepreneurs spend most of our time working in our businesses and little if any, time working on our businesses. As a result, many of us find ourselves stuck at the start, rather than experiencing the thrill of running a business that thrives. If you are trying to figure out all the parts of your marketing strategy, a Mastermind Program can help you. Marketing your business is a marathon, not a sprint. Too often business owners experience bursts and breakdowns in business. At some point on the journey, you may realize you need some help and guidance along the way. Although I believe you can do anything you want, you can’t really do this alone. Sooner or later, it will catch up to you. And you’ll save so much time, effort and pain when you align with those who can show you what to do first. A mastermind group can step you away from overwhelming and toward how to do things more effectively with less effort! A mastermind group provides support and individual accountability to help you through the rough patches and stay on track. 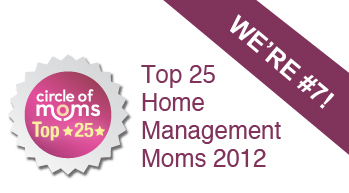 You’re a focused, dedicated, high-achiever who wants to make a difference…. Right? 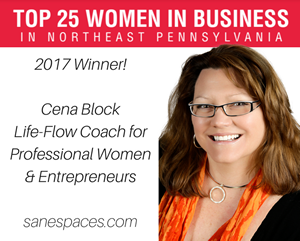 Why not do what’s best for you and get yourself into a mastermind program that can make a real difference in your business. If you’d like to discuss how a mastermind program can help you overcome overwhelm, I’d like to help. 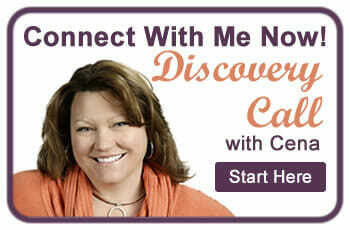 Schedule a complimentary Discovery Call with me today.